The world was supposed to end in 2012. But instead, at UC Santa Barbara, the Living History project, a documentation of student activism at UCSB across the years, was born. Mahader Tesfai, who served as the Associated Students (A.S.) President during the 2000-2001 school year, created the project as an A.S. staff member in 2012. “A lot of times, students involved in various organizations don’t necessarily know the history of their group with which they are involved. Seeing that need, I started to develop the idea of the Living History Project,” he said at a Senate meeting that year. This quarter, second-years Frances Woo and Christine Hoang are working to resurrect the project and flesh it out into a collaborative student organization. The two were hired by Living History Project Advisor Leah Bartos last spring and have been working behind the scenes since then to prepare for their first general meeting, which took place this past Monday. They decided to start the project from scratch, realizing that a lot of the information on the former website lacked proper summarization and sources. “It was just a lot of information, and it could very well be true, but it wasn’t cited, so we’re trying to work on that,” Hoang said. Instead, Woo and Hoang have been delving into the Department of Special Research Collections at UCSB and conducting their own interviews to put together articles for the website. In addition to the new website, the two have been working on growing the project to make it accessible to any students interested in joining. They have also been setting up social media accounts and inviting students to attend general meetings. “Our goal for the end of this quarter is we’re gonna have the people who continue with us during the general meetings to learn how to research and dive into special collections,” Woo said. They hope to generate more content for the website by the end of the quarter as well, mentioning that it can take a while to sort through various sources of information and find people to interview. Woo said that they hope that they can eventually become a reliable source of information for students interested in learning more about the history of activism on campus. One of the first articles published on the new website was about one of the most famous events in Isla Vista history: the burning of the Bank of America building. “When we go into special collections, there’s a lot of like weird information from old newspapers… It’s just insane to see all the events that have happened in I.V. history,” Woo said. Woo said she started with the bank burning because it was a topic she knew there would be a lot of information on, but students who join the Living History Project would have discretion in choosing what to cover. “The whole of student activism at UCSB is so big,” she added. Woo and Hoang have created several templates for student collaborators interested in doing this research. The first is a boards, commissions and units (BCU) and student organization bio, which would detail the origins of a student organization on campus and the social climate in which it developed. The second gathers personal testimonials about notable points of I.V. history, like the Bank of America burning, and the third creates timelines of topics like women’s organizing throughout UCSB history. “We’re making it so open because we want people to pursue a topic that they’re passionate about, so that way they can learn more about it and be passionate about when they’re writing, and that’ll show through their work too,” Woo said. As they begin to work with other students, they hope to expand the kind of work that they present on the website and help students pursue what they’re interested in. “Research can take form and be represented in a number of ways. You can write articles or take interviews with people, collect photo and newspaper artifacts and even create informational videos on the research that you find, so we really want to make sure that our members have the options to do research but also conduct it however they please,” Hoang said. Bartos, who has been advising the two throughout the process, said the shift from a single A.S. staff member updating the website behind the scenes to a student organization working on it is the biggest change that has happened since the project was restarted. “This is becoming a much more collaborative effort with the campus,” she said. The new nature of the project now leaves more room for crowdsourcing efforts, she added. “In the future, if they get some historical photo of like a protest in the ’70s, they can reach out to the community and say like ‘Hey, what else can you tell us about this image?’” she said. The collaborative aspect of the project is what makes it special to both Woo and Hoang. “We’re just starting up, and we hope that with other people’s contributions that we can become bigger and an important part of UCSB’s campus and community because student activism is super important,” Hoang said. 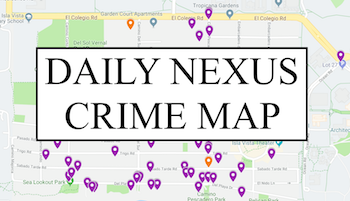 A version of this article appeared on p. 5 of the Jan. 31, 2019 print edition of the Daily Nexus. Sanya Kamidi is an asst. 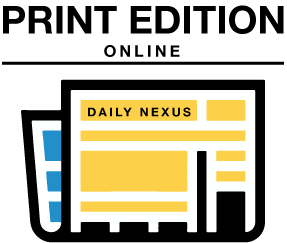 news editor at the Daily Nexus and can be reached at skamidi@dailynexus.com or news@daliynexus.com.